After WhatsApp and Oculus, Is There Anything Facebook Won’t Acquire? Facebook will acquire virtual-reality technology company Oculus VR for $2 billion, the social-networking giant announced Tuesday. Oculus makes the Oculus Rift, a virtual-reality headset originally funded on Kickstarter. Though the Rift has been pitched as a video-gaming device, Facebook plans to use its technology for communications, media and other forms of entertainment. 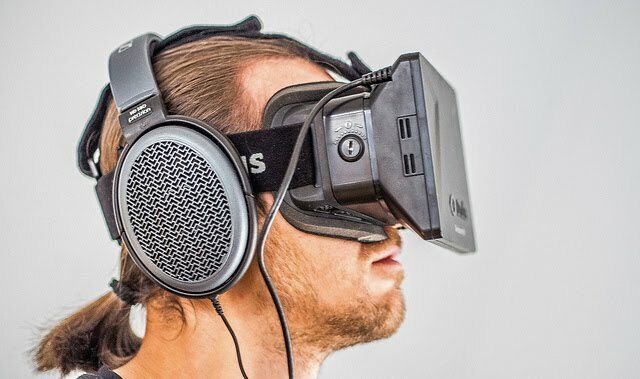 In a conference call with analysts, Mark Zuckerberg, Facebook’s chief executive officer, said virtual reality has the potential to be the next great computing evolution, following the transition from desktop computers to mobile devices.The deal includes $400 million in cash and $1.6 billion in Facebook stock, as well as an additional $300 million if Oculus meets certain performance targets. Oculus will continue to operate independently at its headquarters in Irvine, Calif. The deal is expected to close in the second quarter of 2014. In a post on his Facebook profile page, Zuckerberg presented such scenarios as sitting courtside at a sports event, studying with a group of students or consulting face-to-face with a doctor as potential uses for virtual reality. The acquisition amount is a huge sum for a company that has yet to release a consumer-facing product. The Oculus Rift made its public debut at the 2012 Electronic Entertainment Expo, the video-game industry’s largest trade show. That summer the company launched a wildly successful Kickstarter campaign in which it eclipsed its $250,000 funding goal nearly 10 times over. Interest in the device has risen steadily since then, with the company raising more than $90 million in venture funding over the past two years. As many as 75,000 people have ordered developer kits in order to test the device and begin making software for it. And owners of the device can already use an Oculus Rift to play PC games, enter the world of Game of Thrones or even visit a supermarket. However, the company has not yet released a version of its headset for sale to the general public. Zuckerberg did not provide a timetable for when that might happen. For now, the Oculus team’s focus will remain on gaming. Facebook chief financial officer David Ebersman told investors that the $2 billion valuation of the company was based on gaming opportunities alone, and it’s not a lonely field: Sony revealed its own virtual-reality headset last week and Microsoft has recently expressed interest in the technology. The acquisition comes just weeks after Facebook announced it would purchase the messaging service WhatsApp for $19 billion. Zuckerberg noted that he didn’t expect Facebook’s buying spree to continue, but that the company would open its wallet for companies that it thinks offer a unique value opportunity. “There are not that many companies that are building core technologies that can be the next major computing platform,” he said of Oculus. Facebook does not yet have a business model for Oculus, but revenues won’t center around selling Oculus Rift headsets. Zuckerberg said he could envision people visiting virtual worlds where they can buy goods and are served advertisements. The huge purchase shows that every major tech player is making a big bet on wearable devices. Google is continuing to develop its Google Glass hardware and just announced a version of its Android operating system tailored for smart watches. Samsung already has a line of smart watches. With Oculus, Facebook is making a remarkably bold bet that people in the future will want to be fully immersed in technology. “We feel like we should be looking ahead and thinking about what the next platforms are going to be,” Zuckerberg said. “We think vision is going to be the next really big platform. Victor Luckerson is a reporter-producer for the Money and Business sections of Time.com. He was the editor-in-chief of the University of Alabama’s daily newspaper, The Crimson White, for two years and spent a summer interning at Sports Illustrated. Having spent his first 22 years in Alabama, he continues to carry The South in his heart.